A 15-year-old Dublin boy has been sent forward for trial to the Central Criminal Court accused of the attempted murder of a woman in a knife attack in Dún Laoghaire. The boy, who cannot be named because he is a minor, had initially been refused bail on 26 December after garda objections. The teen has not made any renewed bail application since then and has remained at the Oberstown Detention Centre except for court appearances. 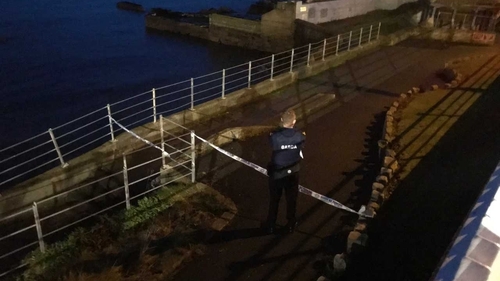 He was originally charged with assault causing harm to the woman and production of a knife during the alleged assault at the seafront in Dún Laoghaire on 23 December 2017. The woman, who was 25 and of Irish-Malaysian descent, was found at around 3.20pm on the date of the incident. She was hospitalised with serious injuries including a horizontal laceration to her neck. Last month the case was upgraded when an additional charge of attempted murder, which carries a possible life sentence, was brought. The boy faced his tenth hearing on Monday when he appeared again at the Dublin Children's Court and was served with a book of evidence by Det Garda Daniel Treacy. A State solicitor told Judge John O'Connor the Director of Public Prosecutions consented to the matter being returned for trial to the Central Criminal Court on all three charges in the book of evidence. Judge O'Connor gave the youth the standard warning that he must notify the prosecution within 14 days if he intended to use an alibi in his defence and the names and addresses would have to be provided. He told the teen an alibi was used to be able to show if a person was not in a particular place at the time of an offence. The teen, who has not yet indicated how he will plead, spoke briefly during the hearing, at first greeting the judge and later to confirm he understood the alibi warning which he said had already been explained to him by his solicitor. Judge O'Connor then acceded to the DPP's application and ordered that the boy was being returned for trial to the present term of the Central Criminal Court. A date for his first appearance at that court has not yet been allocated but is expected to be within the next month. Legal aid was granted to include representation of junior and senior counsel for the defence. The judge also directed that copies of recorded Garda interviews with the boy would be provided to the defence. His solicitor said a bail application was not being made at this stage. Earlier, the Children's Court has been told there was a "quite extensive file" which was unusually complex and involved 109 witnesses. Due to the nature of the new charge, a bail application could only be heard in the High Court. Previously, the boy's solicitor told the Children's Court a number of issues were being attended to and based on information from the boy's psychiatrist these were best dealt with in his current setting. During another prior hearing, on 25 January, the defence said the teen was under-going treatment and the parents had "severe concerns for his personal safety". The defence insisted it would be brought to the judge's attention if there was an alternative to being in the detention centre.